“We listened!” Maybe a little smarmy or glad-handy. How about: “Well, Truckee Sun indeed turned out to be New Coke.” Too cliché? “OK, fine, Sierra Sun it is and forevermore will be. Whatever.” Nah, too cranky. Is that an “Amen!” from Tahoe City? However we parse it, we’ll run under the Sierra Sun banner in print next Friday and as soon as we can online. My annoyed colleagues are switching out logos, resetting the website, returning to the old email addresses, asking for their old business cards back or a new set of Sierra Sun ones, anyway. Good thing we didn’t sell the office sign. Our people who you might see — the journalists and sales folks — are happy enough to no longer have to trip over their tongues on “Truckee Sun” and get back to Sierra Sun, still more natural even to my ear. I’ll apologize for the consternation caused mainly around Tahoe City and Kings Beach among readers who thought we’d abandoned them. We didn’t, although your business community is not recognizing its opportunity to reach you through the pages of the paper. This is only clearer now. I’ll apologize for offending historical sensibilities in Truckee itself, which we did not fully appreciate as I think about it. Many residents clearly prefer “Sierra” to “Truckee” in the name. Got it, even if I can’t help but mention that the Truckee Republican served for half a century before the Sierra Sun name took hold. Of course, there were about two people around to gripe about messing with their paper’s name back then. Still, I’m not feeling sorry about going along with what turned out to be our sojourn as the Truckee Sun. The conversations were too much fun and insightful. I knew a name change would be controversial, and we’d get a sense of how much people here care about the paper. There are no guarantees a community will have a paper anymore, never mind two or three plus local radio that still does news. We’re a long ways from the community newspaper business boom that peaked just before the Great Recession, before the crash. What we once took for granted can no longer be. But curious, the taste for news has never been greater, while willingness to pay for it may never have run lower. The online era has brought with it ever more places to find news, stuff that looks like news, unverified gossip, and flat out propaganda that serves a self-interest, generally an ideological one. The rarest piece of this pie is good ol’ local news, even with Moonshine Ink, Tahoe Weekly, Squaw Valley Times, TruckeeTahoeRadio 101.5, the Facebook and Nextdoor grapevines, a blizzard of bloggers. So I shouldn’t have been at all surprised at the buzz over a name change. Not all the discussions and emails — especially the emails — were what I’d call friendly. But they were heartfelt and felt damned honest, pointed. I value that over pleasant, though no objections to pleasant, either. I like pleasant. Online benefits we thought might come with the name change did not prove out over the past two months, long enough for me. People still squeaked, though the main feedback so far has been how much readers like seeing more truly local focus in the paper and online. I want a lot more in-depth cover stories, which I think will come, and at the other end of the spectrum way more submissions and publishing of fun photos and what all our various community organizations and institutions are up to. I want more news in brief, more thoughtful and deeper features. I want, I want, I want. I want all this because I’m hearing enough of you tell me this. You might have called or emailed or button-holed me to talk about the name, which was great. But really, I was learning more about what you want and need. So no apology for that. Only a thank you, at the risk of sounding smarmy. 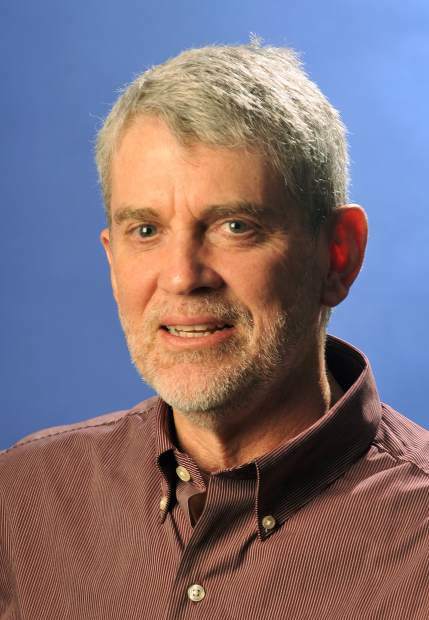 Don Rogers is the publisher of the Truckee Sun and The Union, based in Grass Valley. He can be reached (for now) at drogers@truckeesun.com or 530-477-4299.